1 – Is It Possible To Avoid Suffering? It depends what you mean by suffering. There are two types: one is avoidable, one isn’t. The first type of suffering is that which arises from being human. To be human is to feel, and life throws all kinds of experiences at us. Some of these are painful to our psychological system or physical body and cause feelings that are so intense they become a kind of suffering. I’m talking about what happens when your lover leaves, someone you love dies, you’re seriously ill or you have an accident. No one escapes this kind of suffering; it’s unavoidable, and why should it be any other way? To experience life in all its manifestations is part of what makes us human. Also, this kind of pain can carve us out; it makes us look at life in a more mature way. There’s an African proverb: ‘Smooth seas do not make skilful sailors’. If you look back at the hardest parts of your life, when the seas were roughest, you might find that those were the times that you learned the most. The second type of Suffering (let’s give it a capital ‘S’) is the neurosis, worry, incessant thinking, confusion, guilt, habitual fear/grief/hatred and lack (or excess) of self-love that characterises, to varying degrees, most people’s daily experience. This is the Suffering that comes from the mind; it’s a product of Personality. This means that, before we develop Personalities, we don’t experience this kind of Suffering. We don’t arrive in this world with neuroses, worry, heartache, anger or grief; we come with Love, Stillness, with an innate ability to abide in Oneness. We all start out in what I call the ‘Original Relationship to Life’. We receive everything we need to live: we have a body that breathes, a stomach that digests, eyes that see and all the other gifts that are bestowed upon us. In the words of Lao Tzu: ‘We are nourished by the great Mother.’ Simply living what we are fulfils us and causes us to feel Joy. This Original Relationship to Life and the Joy that arises from it exists outside the domain of mind and Personality. This is why Suffering (with a capital S) is avoidable; our early childhoods demonstrate that being a victim of it is not the only way this life can be lived. 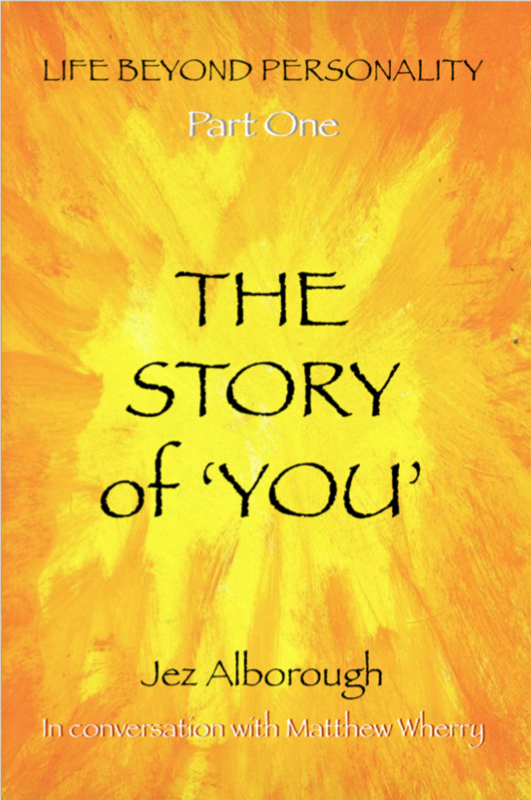 If you’re interested in this subject and would like to go into it further, you can read the in-depth discussion (from The Story of ‘You’) here. Please refer to the Glossary for clarification of capitalised words used on this site. 7 – Is Christmas a Time of Love? What Does that Mean? 5 – You Can’t Learn to Wake Up – This isn’t like a Course in Plumbing! 4 – How Can Some Teachers of Awakening Be Capable of Abuse? 3 – Is It Possible to Become Enlightened? Is simply the perception from my* perspective. It is the view from beyond Personality. Is it false? Is it true? Is to find out for yourself. And show up its many masks. That you read in these pages. * Disclaimer: The words ‘I’, ‘my’ and ‘me’ are used with the understanding that, on the Absolute Level, there is no such thing as any of them. Copyright © LIFE BEYOND PERSONALITY. 2019 • All rights reserved.